As lawmakers in our state continue to think about elder abuse and the salient problems with California assisted living facilities, some of these residences are being ordered to pay damages for the harms they’ve inflicted on the elderly. 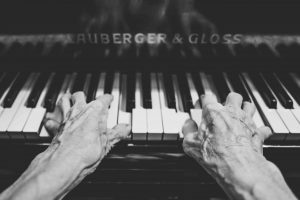 According to a recent article in the Long Beach Press Telegram, a jury recently said that an assisted living facility in downtown Long Beach is liable for “hundreds of thousands of dollars in damages” connected to one resident’s spinal injury. Has your elderly loved one suffered abuse or neglect in a California residential care facility? This is an important concern in our state, and juries take these cases very seriously. You should speak to an experienced San Diego nursing home abuse attorney about filing a claim for compensation. Many Americans have heard that long-term care can be extremely expensive and that it’s important to begin saving, or alternately to invest in long-term care insurance, as soon as possible. But is long-term care insurance really all it’s said to be? Are there other options for elder care? A recent PBS interview with economics professor Lewis Mandell suggests that simply saving money, rather than investing in these insurance plans, may ultimately be a larger help to the elderly. Does your elderly parent have dementia? Many California residents live with dementia, and their children and family members worry about what kind of care is best for a dementia patient. A recent article in U-T San Diego explained the different options for dementia care. According to Dr. Diane Darby Beach, the Director of Education and Outreach for the Vista Gardens Memory Care Community, there are basically three different kinds of providers who offer long-term care to patients suffering from Alzheimer’s and other forms of dementia: home care, assisted living, and adult day care. Are some of these options better than others? Depending on your unique situation, there are many factors to consider when deciding what kind of care is best for someone who suffers from dementia. If you have questions or concerns about the level of care your elderly loved one has received or is currently receiving, it’s a good idea to contact an experienced California nursing home abuse lawyer. At the Walton Law Firm, we have years of experience dealing with elder law issues and can answer your questions today. Do you have an elderly parent or loved one who worries about leaving home to live in a nursing home or assisted-living facility? According to a 2010 study conducted by AARP, nearly 90 percent of elderly adults hoped they’d be able to “age in place,” meaning that wanted to stay in their own homes and live independently, despite the complications that decreasing health and aging bring. In addition, in-home care may provide family members with more access to their loved ones, allowing them to keep an eye out for elder abuse or neglect. What is In-Home Health Care, Exactly? The Sacramento Business Journal reported today on a new website that the California Department of Insurance launched in order to help educate California seniors. The article highlights a few aspects of the new site called “Senior Gateway”, but once you visit the site, you see that it has a lot to offer to not only seniors, but their families, caregivers and representatives as well. Max Bauer has no doubt seen a lot in his 93 years. Among his many experiences were those aboard the naval ship USS Vestal, moored in Pearl Harbor in December 1947 when the Japanese attacked. He was particularly proud of being a Pearl Harbor survivor, and placed a special Pearl Harbor Survivor license plate on his car. In recent year, however, times have been tough for Max. A story in San Diego Union Tribune this morning reveals a man whose life has been on the decline since his wife of 62 years died in 2007. He had become so frail that he required the assistance of a caregiver, who moved into his home in El Cajon to help care for him. That’s when things got really bad. Increasingly, friends and neighbors didn’t hear from Max, and after concern grew the Sheriff was called out to do a welfare check and were surprised by what they found. Sheriff’s deputies discovered that Max was living in squalor, his house filled with trash, rotting food and rat droppings.